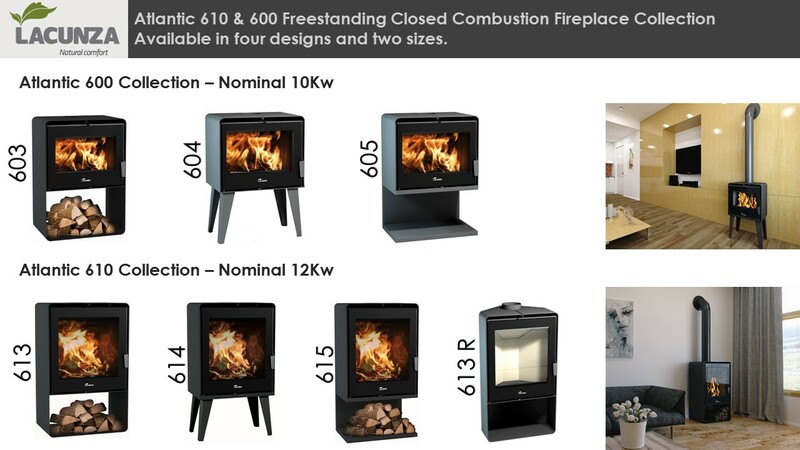 The Atlantic 613 R corner wood fireplace is freestanding and comes standard fully assembled on a log storage base. 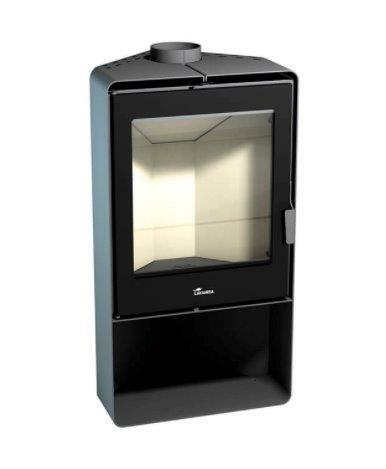 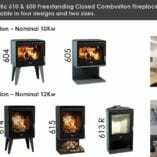 The 613 R is a closed combustion fireplace which means it burns less wood and produces very efficient heat. 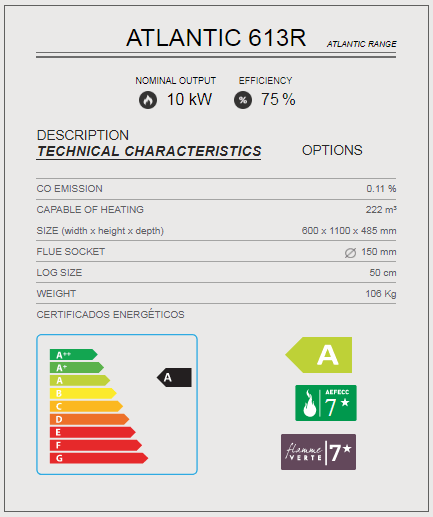 Manufactured to the highest European fireplace quality standards the 613 R corner wood fireplace comes with an ‘A’ European rating and is 75% efficient.